A Plus Coach delivers the very best transportation services in Boston, Massachusetts. Our modern and well-maintained Party Bus Boston, Stretch Limousines, Black Cars, Charter Buses and Antique Wedding Cars are the very finest automobiles on the road. 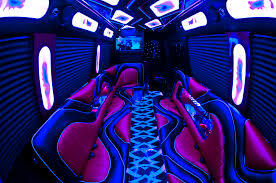 Our affordable Party Bus Rentals Boston is hands-down the best in Massachusetts. Whether you are hosting a wedding party, bachelor party, prom night or simply a night out on the town with friends, A Plus Coach’s has the most reasonable Boston Party Bus prices that will blow our competition out of the water. A Plus Coach is the clear frontrunner when it comes to deciding upon the best Party Bus Boston. Our 14 and 32 passenger ultra-luxurious Boston Party Bus Rentals are the ultimate in festive ground transportation. Perfect for hosting large parties, big groups for live shows and sporting events, or even an infamous bachelor / bachelorette parties. Here are some events and situations we specialize in. A Plus Coach’s spectacular Party Bus Boston is available at affordable prices.